If you have any questions regarding Juvenile Defense, please contact us for a FREE JUVENILE COURT FILING CONSULTATION..
A juvenile criminal investigation begins when law enforcement receives information from parents, social agencies, schools or private individuals. Once law enforcement conducts an investigation, a determination is made as to whether there is enough evidence to find the juvenile guilty of the crime. Law enforcement will forward this information to the juvenile probation office and then to the district attorney who will investigate and file the petition. • Counseled and released to their parents. • Referred and diverted to community resources such as social services. • Cited and referred to juvenile intake. Released to parents. • Transported to Juvenile Hall or a shelter. 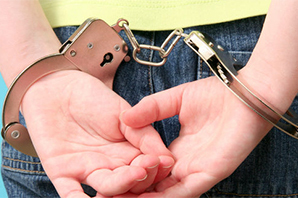 If you need an effective Juvenile Defense Attorney, please contact us for a FREE JUVENILE COURT FILING CONSULTATION.